Massachussett’s-based Jeremy Gillʼs music has been lauded as “vividly colored” (The New York Times), “exhilarating” (The Philadelphia Inquirer), “intriguing” (The Washington Post), and “work of considerable intensity” (American Record Guide). He has composed in every genre—symphonies, concerti, chamber music, songs and song cycles, and opera—is an active pianist and conductor. His music has been commissioned by the Dallas Symphony, Concert Artists Guild, Chamber Music America, and the Lois Lehrman Grass Foundation, among others. Formed in 2002 and now in residence at Harvard, the Parker Quartet (Daniel Chong, Ying Xue, Jessica Bodner, and Kee-Hyun Kim) has rapidly distinguished itself as one of the preeminent ensembles of its generation. The New York Times has hailed the quartet as “something extraordinary,” The Washington Post has described them as having “exceptional virtuosity [and] imaginative interpretation,” and The Boston Globe acclaims their “pinpoint precision and spectacular sense of urgency.” The quartet began touring on the international circuit after winning the Concert Artists Guild Competition as well as the Grand Prix and Mozart Prize at the Bordeaux International String Quartet Competition in France. 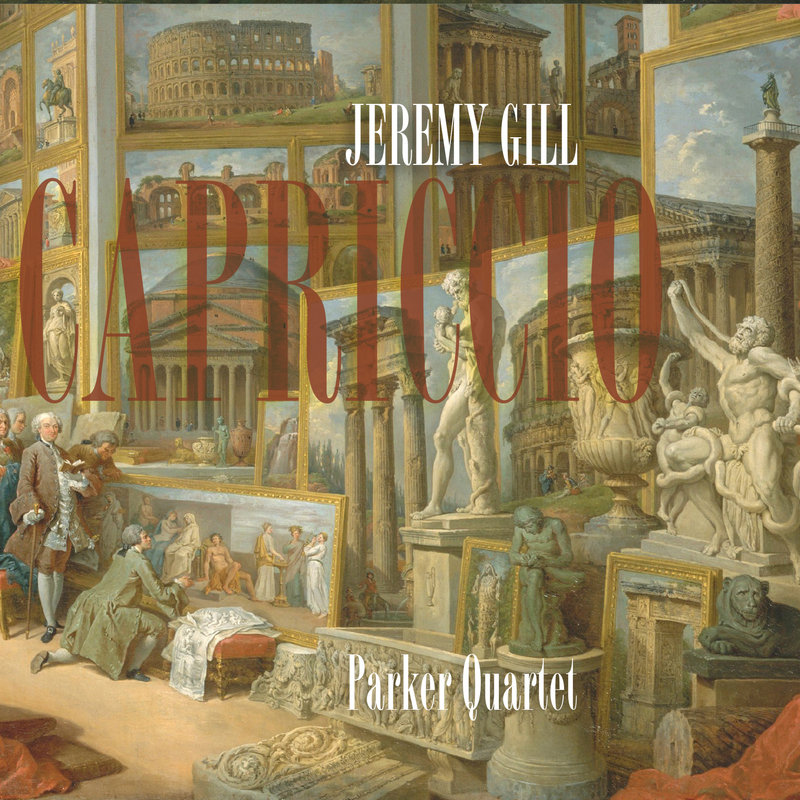 “Capriccio” was commissioned by the Chamber Music America Classical Commissioning Program, with generous funding provided by The Andrew W. Mellon Foundation and the Chamber Music America Endowment Fund, and this recording of the work was supported by a NewMusic USA Project Grant awarded in January 2015, made possible by annual program support and/or endowment gifts from the Helen F. Whitaker Fund and the Aaron Copland Fund for Music. "[T]he execution is fresh and clever. ... The cycle is a compositional tour-de-force that shows Gill’s versatility and attention to detail."